I have been getting reports out of Norway on Baby Caspian’s ordeal. There are short videos of the abduction being posted on the internet and I will, eventually, share these with the readers of this blog. It is hard to hear women cry because a loved one is being taken for no good reason! Today is Friday. Six and 1/2 month old Caspian has now been moved to a secret address for the second time since Monday. This is the third time that Caspian has been taken from his mother during his short life, the first when he was three weeks old. Then, he was returned to his mother after two weeks. Yesterday, the Volda Barnevernet transported him to yet more strangers in Bergen. Bergen, Norway, is a 7-8 hour trip by bus and much farther away from the mother’s support system. Why would a “Child Protection” agency of any government act so strangely? It makes absolutely no sense at all. Even if the mother had done something wrong, which seems unlikely in this case, why move the child so far away from visitations? Whoever runs the Volda Barnevernet is responsible for having removed the baby boy from the Hennum’s, where he lived with his mother. They were doing very well where they were according to Margaret Hennum who is a pediatric nurse by trade. If you have been following this situation, it was Margaret who helped Nadia to get back on her feet after leaving a Mother’s Home. I have been informed that better media reports are forthcoming and I’m glad to hear it. The head of the Barnevernet in Volda has broken her promise to contact Nadia about where she would meet her with Caspian. Nadia called the Volda Barnevernet and was told that she could not speak directly to the Barnevernet. Nadia received a message from the BV secretary saying: “contact your lawyer!” As I understand it, Nadia insisted that someone speak to her and finally the head came to the phone with the information already shared here: the case has been transported to the Bergen Barnevernet. The head of the BV in Volda forgot to mention one important detail: The baby was transported as well!!! The BV head in Volda was clear: Any further communication between the two of them (Nadia and the BV) is absolutely out of the question. It seems the Barnevernet is now blaming Margaret for helping a young mother to readjust to life after living in a Mother’s home. Many are led to believe that these Mother’s Homes are a good thing. If you have READ THIS POST FROM THIS BLOG you know of Nadia’s experience in the Mothers’ Homes. What if Ms. Hennum has “stated very strong criticism against Barnevernet in social media” as she is accused? Does that justify BV personnel and 5 police officers to take Nadia’s napping child from a safe crib? Isn’t Norway a democracy? Where is Margaret Hennum’s right to free speech? It is required in a democracy. Maybe Norway is a democracy in name alone. If you have read Let the Whole World Hear: The Kidnapping of an Infant in Norway or NORWAY’S CPS KIDNAPS CHILD…TODAY!!!! !, you can understand how many are thinking of this situation. I am not an expert in Norwegian law. My understanding, however, is that the removal of a child according to an “emergency decision” can be carried out only when a child is in acute danger. The child in the picture above was not in acute danger. “Even the police responsible for the removal, stated several times that we were good caregivers,” said Margaret Hennum. This is as much as I know at the moment. As I mentioned in an earlier post, I plan to keep WOW readers updated on any new (or old and important) information as this story unfolds. This entry was posted on Friday, June 17th, 2016 at 3:46 PM and is filed under Commentary, Education, News. You can follow any responses to this entry through the RSS 2.0 feed. You can leave a response, or trackback from your own site. A quite likely reason why the baby has been transported to Bergen, is that the district around Volda and where the Hrennums live is so transparent that it would be discovered before long where the baby was being held in a foster home. That would not suit Barnevernet, since they want the address to be hidden from the mother and her helpers and sympathisers. Another is that Barnevernet wants to make visitations difficult, by placing the child far away. A third is that it is much more difficult for Nadia to communicate with an administrative unit in Bergen. Barnevernet routinely imposes all sorts of practical difficulties on parents who want their children back. This makes sense to me. It is in line with many other things I am aware of that the BV has done. Thank you for your insight, Marianne. Norwegia to nie jest kraj cywilizowany , nowoczesny i demokkratyczny. Demokracja ?W Norwegii mieszka ponad 4 miliony Norwegow i okolo 1 milion obcokrajowcow – legalnie lub nielegalnie.Prawo glosu maja tylko ci ktorzy maja obywatelstwo norweskie.Ale wiele osob , coraz wiecej tych ktorzy tu mieszkaja i pracuja nie ma norweskiego obywatelstwa i sie wcale o to nie stara.Wielu mieszka nielegalnie . W Norwegiii . – jako jedynym kraju w Europie – nie ma abolicji dla osob dlugo przebywajacych nielegalnie.W innych krajach zazwyczaj co 4 lata ci ktorzy przebywaja nielegalnie moga wnoskowac o pobyt legalny .Rezultatem tych przepisow jest uzyskanie legalnego pobytu w wypadku 6 milionow osob w Europie.W Norwegii mozna kogos wyrzucic z kraju nawet jak tu mieszkal ponad 20 lat. Cywilizowany ? Barnevernet jest najlepszym przykladem ze nie jest to kraj cywilizowany.Nie jest to niestety jedynny przyklad. Nowoczesny ? Maja tu w dalszym ciagu mnostwo skansenow.Stare drewniane domy z trawa na dachu.Ludzie tez musla – moim zdaniem -prehistorycznie. Norway is not a civilized country, modern and demokkratyczny. Democracy? In Norway, home to more than 4 million Norwegians and about 1 million foreigners – legally or nielegalnie.Prawo voice have only those who have the citizenship norweskie.Ale many people, more and more of those who live here and work does not have Norwegian citizenship and August at all about it not stara.Wielu living illegally. In Norwegiii. – As the only country in Europe – there is no amnesty for people staying long nielegalnie.W other countries, usually every four years those who reside illegally can wnoskowac to stay legal .Rezultatem these recipes is to obtain legal residence in the case of 6 million people in Norway Europie.W can someone throw out of the country even lived here for over 20 years. Civilized? Barnevernet is the best example of this is not a country cywilizowany.Nie is unfortunately jedynny example. Modern ? May there continues during skansenow.Stare lot of wooden houses with grass on dachu.Ludzie also muslem – in my opinion -prehistorycznie. The government of Norway is like the Natzi regimen. People need to stand up and speak up to this evil. I have avoided using the term “Nazi” before this case but I have used the term “evil” many times. I think you are correct, Someone. I always appreciate reblogs, Valeria. Thank you. Attachment, the emotional bond formed between an infant and its primary caretaker, profoundly influences both the structure and function of the developing infant’s brain. Failed attachment, whether caused by abuse, neglect or emotional unavailability on the part of the caretaker, can negatively impact brain structure and function, causing developmental or relational trauma. Early-life trauma affects future self-esteem, social awareness, ability to learn and physical health. When the attachment bond goes well, neurological integration develops normally, and relationship brings the expectation of safety, appreciation, joy and pleasure. If the attachment bond was unsuccessful and traumatizing, neural dysregulation and memories of a failed relationship become the basis for adult expectations of intimacy. But Chris, this that you have been reading here is the standard view of “attachment” as something which has to be “created”, out of nothing, by special efforts about eye contact, talking, by being together, and that if you “don’t do everything right”, then the “bond” will not be created or not “go well”. It leads to exactly what Barnevernet is practicing: the view that you have to “work hard” at making a parent-child relationship “succeed”, that you can, on the other hand, “place” a baby equally successfully with anybody else as with its own parents, if these fosterers have been “taught” by Barnevernet, and that if a child has been with fosterers for so-and-so long, then THAT attachment is the salient, even only, one. Quite the contrary: Attachment between biological parent and child is there, based on biology, is is just confirmed when they are together. The best proof that all these attachment ideas are nonsense is found in studies of foster children and adoptees. Even those children who have NOT grown up together with their parent(s), often search for them even in adult age, feel a new peace and belonging when they find them. Foster relationships can succeed, adoptions can succeed, but at a much lower rate than biological relationships, because they do not have nature to help them. The idea that a “failed” relationship with parents leads to unsuccessful “expectations of intimacy” is also nonsense. This is a mechanical-deterministic view again: that people are nothing but a rote repetition of what has been forced on them as learning. One thing about Barnevernet’s actions is more revealing than anything else: the way they are dead scared that a child they have taken, should have any contact with its biological parents. Why so afraid, if there is no attachment? I want anyone reading this “conversation” to know that the statement by Topsy is ridiculous and not true. If I have come to agree with you on anything, Marianne, it is through the scope of having found out, though other sources, that you are a dependable one. I will admit to not trying to verify all that you state because you have been so consistently correct as I have discovered that I often don’t feel your words need verification. You have corrected me at times, which I indeed appreciate. It is another indication that you want the truth to be known and this from a place where your opinion makes you very unpopular with some experts and others. I am not brainwashed. I have my own mind and I use it to the best of my ability as God would wish. I will not continue to reply at any length to these allegations as I’m sure they will continue, but I wanted it stated firmly somewhere so that you and anyone else reading this knows that I think, correctly or incorrectly, on my own accord. Your comment was an important one. I need to stop you in mid-sentence, Marianne. It is something that I would excuse myself for some of the time, in real life. Sometimes I forget to excuse myself and interrupt. I almost always regret it. I am off of the subject a bit, but I have been criticized for the same thing the BV is being accused of here. I believe that God created all that we see out of nothing. This is a matter of faith. It is not something that I can prove although I think the evidence strongly suggests it. The BV does the same as I have regarding creation. Since the documentation they rely on is based on faith as it can’t be proven, at least in my eyes, they are treating this subject as someone treats a position of faith. And they are fanatic about it. It is, indeed, what the BV is practicing and it is confirmed by reliable sources other than you, Marianne. I am aware of many such cases, Marianne, and the only place I question biology is in the theory of evolution, as far as I can tell. I am taking your word for it here, Marianne, as I haven’t heard it put quite that way by anyone else. It sure seems to be the view of the BV from where I stand. I will open this topic up for discussion. Let’s have any pro-BV entity disagree with this, Marianne. I would like to see it. This is the same question I have come to, Marianne. I came to it on my own and without your help. Why the big deal about eye contact and the like? Why is it that biological parents get nothing right and foster parents are a better option? This seems to be an opinion held by many within the BV. Surely. Please give me some time here. This is a well written article and brings clarity to the attachment theory you mention. My critics will say that I have come to this conclusion because I believe all that you print, Marianne. It is a ridiculous criticism. I am able to think for myself. I am familiar with Mr. Herriot’s books. In fact, I was pleased when an acquaintance of mine mentioned them the other day. The account that you share from one of Mr. Herriot’s books is telling I think. It is a wonder that few would deny I think. Horror of horrors!!! Here is a statement that is on your post, Marianne, with which I disagree. Maybe my critics will take note. I do not agree with everything on your website. I don’t think this bond was made through any type of Darwinian evolution. I believe the bond is made by an Almighty hand that created us. This is stated again and again in the Bible for all to see. One may not agree with the Bible or in the many verses that announce God to be the Creator, but it is a major theme. Many current scientists have taken on the theory of evolution and all of the problems it has. Evolution has to be taken by faith as there are too many weaknesses in the theory to prove otherwise. It is the reason it is called a theory after all. Someone who believes the Biblical version also believes by faith and also comes across various problems that someone who cannot give the possibility of God a chance will have to think makes the view incoherent. As you don’t like to discuss your views on God, Marianne, as is obvious from your past comments, I will not press you for your view. I will only state that I think I know what your view is based on my knowledge of the different views out there. You probably expected such a response from me, Marianne, and I haven’t let you down. We may disagree on why the biological attachment is there but IT IS THERE nonetheless. Thank you so much for your thoughtful comment, Marianne. Thank you for this long reply, Chris. Indeed we are not rote repetitions one of the other. Plenty to disagree about. – One detail about evolution: Evolutionary thought in biology was not new with Darwin, it was much older, and very widespread in the 1800s. What was new with Darwin, and Wallace at the same time, was a particular way of explaining how it could come about. Enough of that. Biological evolution can explain, if you believe it is right, how parents and children came to have special instinctincts and feelings of belonging together, but the important thing is to realise that these are there, however we came to have them. I don’t have any trouble with your belief that God created everything out of nothing. But surely BARNEVERNET does not create anything out of nothing! I suppose THEY are really the meddlers I’d like to see sent out of this “creative” position of power! Saddling us with ideas about how childhood and bonds must be “managed”, as if parents in the olden days had nothing else to do (getting food and clothing and preparing for winter and avoiding danger) other than to do this and that with and to their children, in order to “avoid a skewed development” and so on. If growing up to be a realistic adult who can make a go of it in the real world were dependent on SO much detailed fiddling with children 24/7, techniques which parents had to be taught, by “experts”, then we would at any time have at least a billion or two completely non-functioning people around us in the world, individualt who could not take care of daily needs or anything because they had not been brought up like BV thinks children must be. What kind of parent could one make if all one’s time was taken up with JUST the child, not with ordinary life, sleeping, eating, washing, working and making an income, and bringing the child along into it all? In the part of the west coast north of Bergen, land was so scarce and the population had grown so much in the 1800s that emigration to America was at a top from those areas. There are fjords, steep mountain sides, just tiny plots of land for cultivation down by the water. Lots of the farmers had to be out as fishermen part of the year in order to make a go of it. The wife then stayed at home, managing the animals and the farm AND the children. Do you think anyone had time to practice “eye-contact” with the children? No way. A few people managed to build tiny farms far up on little plateaus above the steepest moutain sides. They had to manage sheep and cows so that they did not fall off down the precipice and get killed, and had to tie the smaller children with ropes to prevent them from running around and falling down the mountain side, which was certain death. Nobody came at them with nonsense psychology. What is clear is that those families, with parents struggling very hard, the father being away part of the time and nobody having time for babblelibabb, produced a very healthy population of children, self-reliant, sensible, good workers, enterprising, decent. So much for making an issue out of “bonding”. There is a togetherness between close relatives which manifests itself through special feelings – actually known under the name “love”. People are not like plants, we have thoughts and feelings and a memory and an intelligence which all contribute to the ability to seek and feel bonds to our own relations. Therefore, it is just not correct that it is “too late” to give a child back to its own once so many months or years have passed. It still has a good chance of being the best policy, much much more likely to bring harmony and a togetherness felt as meaningful, than it has to take a child the other way: away from its own family and expect them to put their “roots” peacefully down in such a new environment. You’re welcome, Marianne. I hope it is OK if I continue to reply to more lengthy comments in this manner as it is much easier for me than looking back to the comment. I have not met two people on this planed that agreed on everything and I don’t plan on looking now. It should be obvious that we are making our own comments from our own thoughts. How anyone in an advanced society cannot see it is baffling. I am aware that evolutionary thought was suggested before Darwin. I think that those who have studied the theory are aware of this and are aware of the reason why it was Darwin’s name that has been connected to the theory all along. He is considered a Forefather of sorts. I am glad you clarified this for any who didn’t know this fact. Yes, it the important thing, Marianne. What are the theories of Kari Killén based on? I know she is not a biologist and it seems that her views conflict with both Darwinian and Creationist views in general. Am I wrong? They are pretty “high” credentials in this world. Are any of the three jobs or the education listed for any job incorrect as far as you are aware? I find your honesty refreshing and interesting, Marianne. So, Marianne, you are saying that the BV is looking for problems that mothers have in this “attachment” area and that they make something important out of something that they have helped create in order to justify illogical and harmful actions? Please help me if I am wrong or am making it too convoluted, Marianne. “I suppose THEY are really the meddlers I’d like to see sent out of this ‘creative’ position of power! I am with you on every point here, Marianne. It is a strong argument that I don’t see any common sense argument achieving ground against in any way, even offensively or defensively, Marianne. This is a well stated closing and I completely agree with it. What the BV is doing, in many cases, is not anything close to love, call it what you will. In many cases, the BV of Norway is causing harm. Caspian, when living with his Mum in our home for one month, was a very smiling and talkative baby. TWO days after the kidnapping, we went with Nadia to meet him. How wonderful to see him again! And how sad to see his confusion and sadness! Neither of us had never seen him like this before! And even more shocking was his TOTAL lack of verbal comunication! Not a sound, not an answer to his mother s kind words! After one hour he started to talk, a little bit. And when the 2 hours meeting had come to an end, Caspian had “returned” to his own self! Why was Caspian kidnapped? Because he was living in the same house as me, a person critizising the abuse done by Barnevernet! Their acute decision to kidnap him was terribly wrong. They admitted this the day after, saying that staying with us will not do him any harm! The only one abusing and harming baby Caspian, is Barnevernet! Stop it, immediately, and bring him back to his Mum, NOW! I think I would be as upset as you, Margaret, if I was in the situation in which you find yourself. I am upset enough and I am on another continent. This account indicates, in Caspian’s case, just how important contact is with his mother at such an early age. I’m sure it is similar in most cases. It is amazing how quickly a baby can be cold to it’s own mother when the mother is missing for even a few days. Then, after a few hours of visitation, the baby has returned to his former self. Then, the visitation ends. The baby again will lose contact with its biological mother until Norway’s CPS thinks it fit to have another visit. I can see the power that this Barnevernet has been given. One can clearly see the danger to one baby, and thus, to society in general when those in charge of child care make such unwise decisions. I agree with you, Margaret. This child should be returned to his mother now BEFORE ANY FURTHER DAMAGE HAS BEEN DONE!!! It is, Pastor Jim. I can’t look the other way on this one. I know there are so many needs in our world today. Maybe you could ask for prayer occasionally for this situation. This is a very difficult struggle, particularly for those who are living with it on a daily basis. I’m glad you are aware of this situation. The situation in Norway continues to make news by many means even if it isn’t spread (yet) in the American mainstream. I’ve experienced it by word of mouth with someone I wouldn’t expect would know anything about it. There are so many reports written from Barnevernet in similar cases, like the child didn´t react seeing its Mum, finding the reaction to be a result of lack of bonding etc. Even on this visit, when their reason for kidnapping is fear of fleeing and that I am critical to them, there were TWO Barnevernpersons observing the visit! And in a Meeting With the Barnevern boss the day after the kidnapping, she said that if Caspian returned to her, she had to Accept that Barnevernet could show up any time, without her knowing when! HELP is in the Dictionary for Barnrnevernet, called OBSERVATION! This must be a special case for them unless this is standard Norwegian practice. When I was doing visitation observations, in most cases, only one of us were in the room during the visitation. If there was a particularly sensitive case, our head insisted on being in the visitation. We tried always to have a pair of eyes on every situation and at all times. But two pair? That happened rarely and usually when we weren’t busy. Who did the BV fear was going to flee, Margaret? Were you going to flee with the child or was Nadia going to flee without the child. This reason makes no sense to me unless you can clear this up for me. Maybe someone at the CPS can. As far as your criticism, if one can’t criticize it’s own government or any government entity than that government has become a totalitarian one and not a democracy. Lastly, what kind of terms have been given you by the BV boss the day after the kidnapping? Visitations can be stressful in themselves particularly when there is such scrutiny as there is in Norway. I think this scrutiny of Norway is documented in many places. On top of visitations, they are unscheduled? This is another blow to the welfare of the child unless the care workers have proof of real danger to the child. As there has been no danger done to the child in this case BY ITS MOTHER, there is no reason to believe that there would be any in the future. Visitation/Observations are sometimes necessary, but this is a very strange case with strange comments from this BV head. The way the child was taken is the worse thing. And now we know real damage is being done to the child…BY NORWAY’S BAREVERNET. I think you are right, Margaret. “Help” and “Observation” are interchangeable in BV’s dictionary. They took him from our home, a place they say is ok for Caspian. Their concern is all fake. Barnevernet cannnot accept that they did not succeed to take him, because they had plan to do that the mothers home. (But no decision was taken). Barnevernet do NOT accept any resistance to their decisions. Humble accept of their decisions is their absolute demand! The Barnevernboss was told that Nadia would live with us, and start to study, (she was hindered earlier to do that because they forced her to go to that mothers home9 and she was told that my husbond would be a very good advicer to her, like he has been to our children. This talk about fleeing does not make any sense. and they no it perfectly well themselves! The fact is that those observations are a standard procedure to build up cases AGAINST the parents! We now no that it is under Barnevernets stress procedures Barnevernet learn what they need to find out if they shall keep the child or not! It is true, Margaret. The best place for Caspian to be is with Nadia. She has done nothing wrong and what the CPS is doing is causing harm. This is new information for me but it fits everything else in the account. It seems that the BV thinks that its Word is inerrant just like the Word of God. It is hubris, for sure. This is also new information. 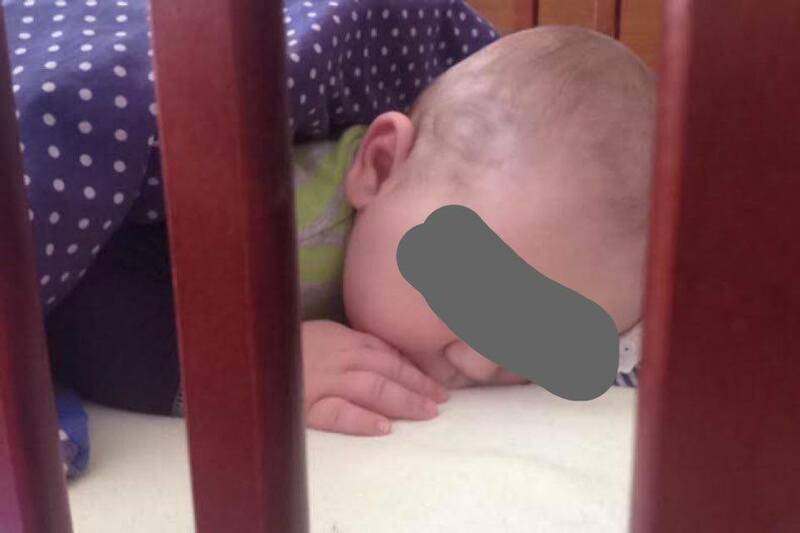 The question only becomes more curious: “Why was this child taken during a peaceful nap in the way it was? Everything else that I know outside of your situation, Margaret, agrees with this statement. There is no way a parent can “win” his/her rights to a child back under such conditions. The decision solely rests on the decision of the BV unless quite a bit of pressure is exerted as in the Bodnariu case. It is the way it is now in Norway’s system of child care and it is very sad. Thank you for making this comment at a difficult time, Margaret. You must be frustrated and angered as any other human would be.